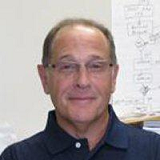 Philadelphia area business incubator Novotorium introduces a new business model to fund and enable startups from concept through sustainable growth, according to Stuart Segal. Novotorium's new website provides information for health, wellness and nutrition startups. Novotorium's business model addresses needs of entrepreneurs at seven stages of startup. New businesses go through different growth stages at different times, so we’ve created differentiated levels of service and capital based on where startups are in their development cycle. Business incubator Novotorium has created a new, flexible business model designed to offer health, wellness and nutrition startups the funding, guidance and professional services they need to grow from concept through sustainable growth stages, according to Novotorium Managing Director Stuart Segal. The Novotorium model identifies seven stages of development for startups: Concept, Creation, MVP Launched, Second Generation Launched, Scaling, Expanding and Sustainable Growth. For aspiring entrepreneurs just beginning to work on their business, Novotorium offers classes and professional guidance. For those who are further along in their development, Novotorium offers access to funding, deeper levels of guidance, and services from Novotorium’s in-house team as well as partners and preferred service providers. Novotorium’s initial target investment amounts range from $5,000 for startups with an approved business plan, up to $250,000 plus for startups that are achieving sustainable growth. Companies seeking funding go through Novotorium’s application and due diligence process prior to funding. Businesses accepted into Novotorium also receive guidance from Novotorium’s staff as well as access to nearly 30 strategic partners with expertise in law, finance, marketing, business strategy, healthcare, wellness and life sciences. Each company will be matched with resources based on its specific needs. In addition, Novotorium has preferred service providers that startups can contract with for projects essential to their success. Complete details about the new Novotorium business model and services offered to entrepreneurs can be found on the Novotorium website, http://www.Novotorium.com. 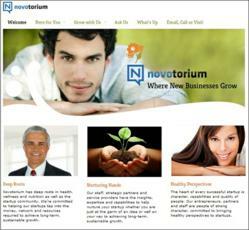 As part of the new business model rollout, Novotorium recently redesigned and rewrote its website. The project was a collaboration between Novotorium’s staff and Dean Ballas, creative director of dezignrogue, an internationally recognized design, branding and creative strategy development firm. The website reflects Novotorium’s focus on health, wellness and nutrition startups. Novotorium is currently accepting applications from entrepreneurs who wish to become part the incubator program. Entrepreneurs can apply for incubation at http://www.Novotorium.com/apply. In addition, aspiring entrepreneurs who wish to be part of a hands-on class to help learn how to plan and launch their business may register for Novotorium’s Business Planning and Launch Class at http://www.Novotorium.com/apply/business-planning-launch-class. The 13-week program begins February 4 and ends on April 29, and will guide entrepreneurs through a streamlined planning process and the steps necessary to create a minimal viable product.